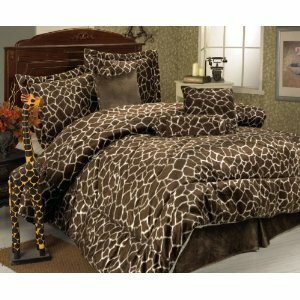 This beautiful comforter set features Giraffe on soft suede fabric. 3 decorative pillows included. Matching curtains available.